Valley Forge, Valley Forge is the final story that Garth Ennis wrote for The Punisher which spanned issues #55 – #60. 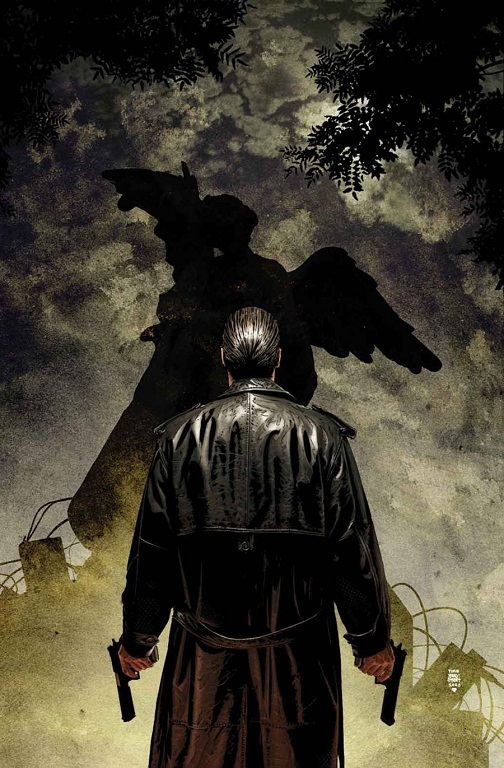 The story’s art was done by Goran Parlov, with covers by Tim Bradstreet, and has been collected in a TPB as Punisher MAX Vol. 10 by Marvel. Valley Forge, Valley Forge features two stories in one which parallel each other throughout the book. On one hand, and foremost, there is the story of Frank Castle who, with the help of Nick Fury, discovers that the source of the recent attempts on his life are eight senior Army and Air Force officers that have been trying to recover some damning evidence which Frank has come to possess. On the other, there’s a story told through a book from which this story’s name is derived, “Valley Forge, Valley Forge: The Slaughter of a U.S. Marine Garrison and the Birth of The Punisher”. Therein, author Michael Goodwin tells a Vietnam story as the brother of a soldier who served in a platoon under the leadership of Captain Frank Castle. Though it was difficult to choose which Punisher story to feature, I was sure it would end up being one of Garth Ennis’. This may well be my favorite Punisher arc that he’s written, rivaling even those done with Steve Dillion. Valley Forge, Valley Forge marks the end of a sixty issue run on Punisher MAX, so although it ties up much of what Ennis laid the groundwork for over the years, there aren’t many references made that will go over your head. It’s a story that can stand alone, and it’s a must-read if you’re at all a fan of The Punisher.